For thousands of years, painting mainly represented what could be seen in the world or imagined from it, while music was about melody and tone. 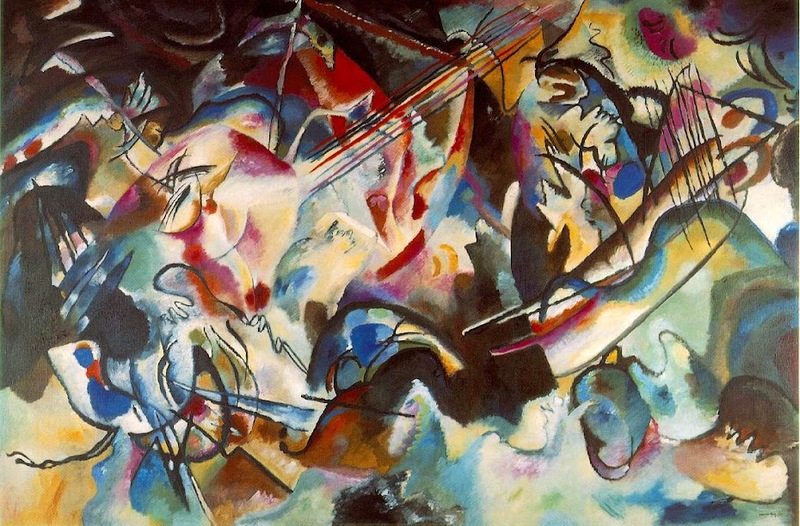 Painting and music broke away from those traditions around the same time and it was music that showed the way, which resulted in one of the most significant innovations in art history, the birth of abstract art. 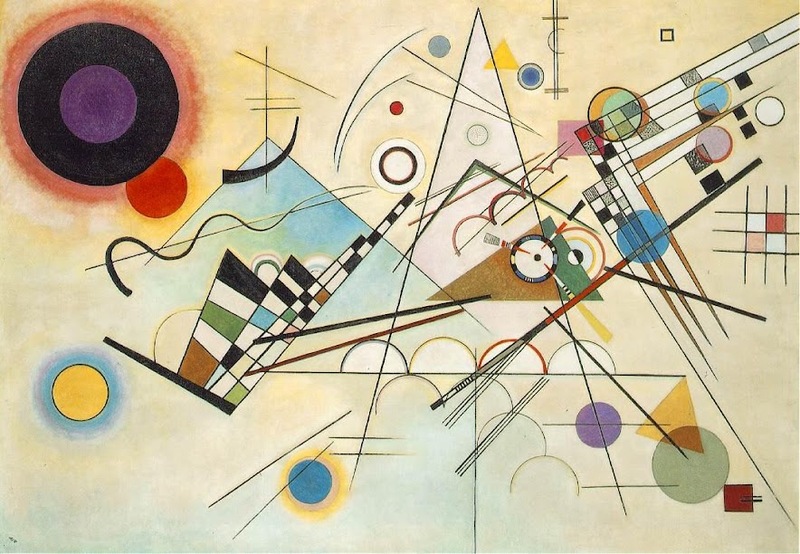 Around 1908, Russian painter Wassily Kandinsky started working on paintings that did not represent reality or anything that could be easily identified. He wanted to represent his internal and spiritual life without painting objects, but he was having trouble finding a visual language that could do that. What inspired him the most in this process was music, first Wagner’s, and then Schoenberg’s, which changed everything. 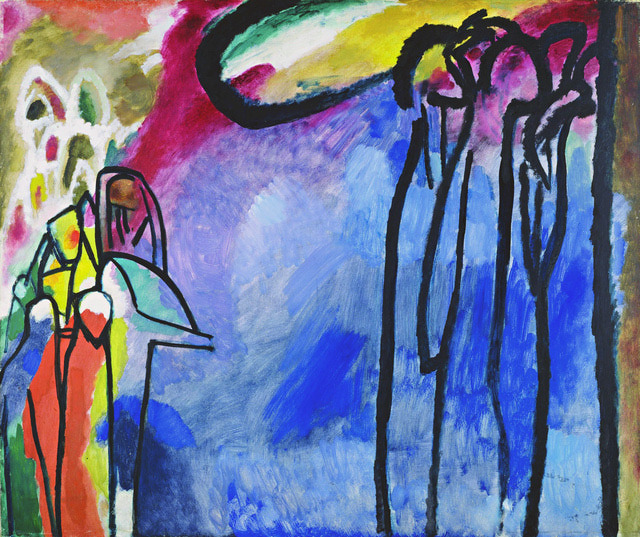 In January 1911, Kandinsky heard Schoenberg’s first attempts at breaking away from traditional tonality at a concert in Munich. 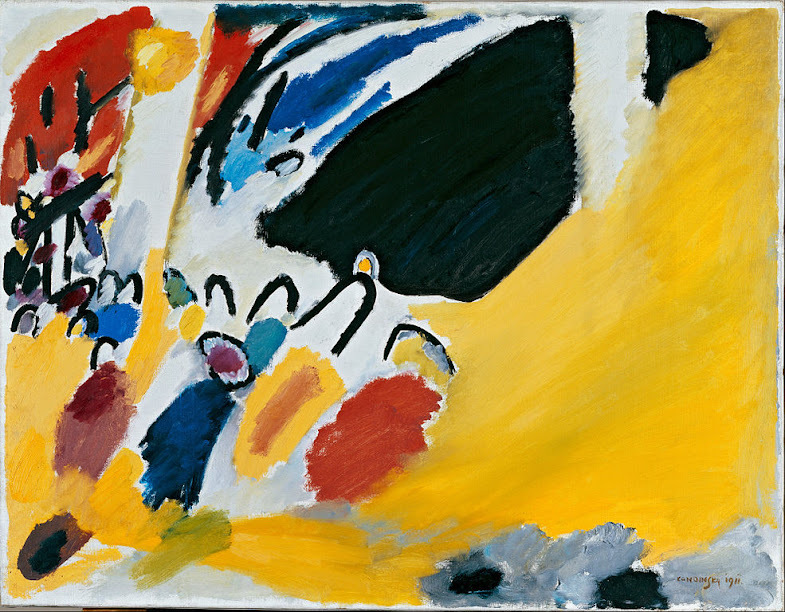 The audience was shocked to hear Schoenberg’s music, but it gave Kandinsky the inspiration he needed to complete the abstract painting style he had been developing. 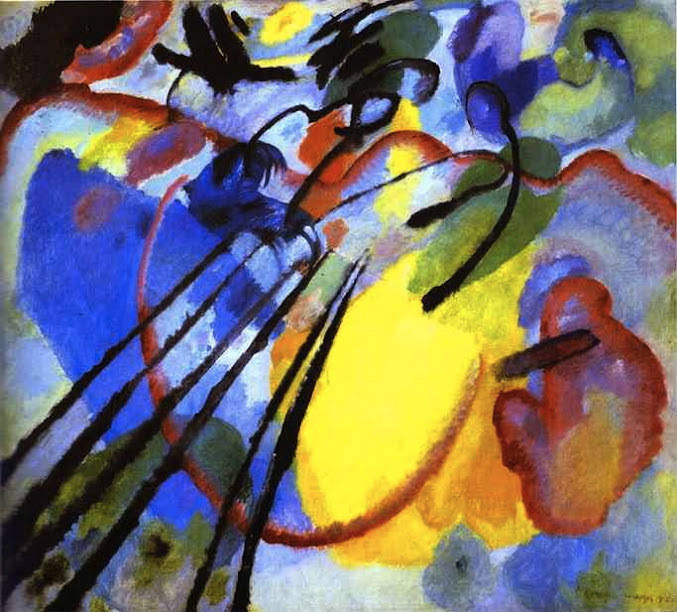 After that, Kandinsky’s paintings became more fully abstract, structured by the contrasts between colors, lines and planes, still using words from music as titles, such as “composition” and “improvisation. Abstraction was not invented overnight. 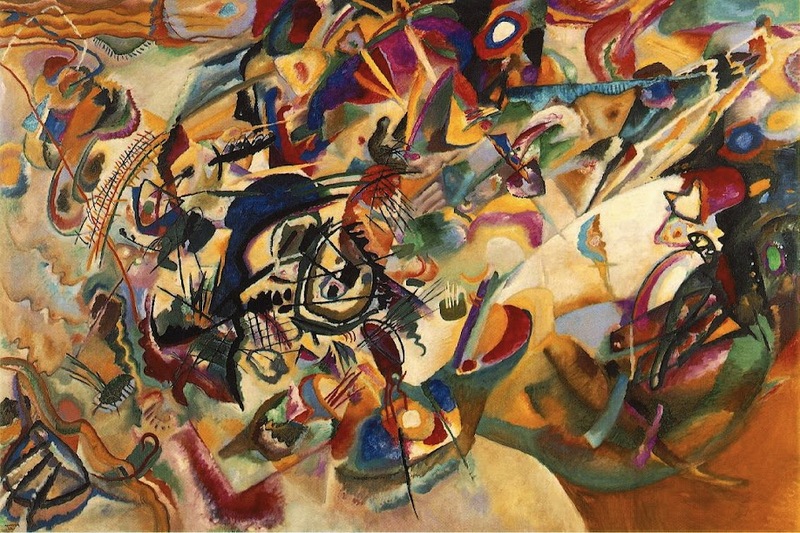 It was the result of a long process started by different 19th-century artists, but Arnold Schoenberg and Wassily Kandinsky are among the most important ones in that process. For over ten years after that famous concert, they remained close friends and collaborators. They shared their theories and applied them in innovative ways to their respective art forms, influencing the development of abstraction for decades to come, profoundly changing the history of Western art.